Putting a fraud alert on your credit file is one of the first things you should do if you suspect someone is trying to open credit accounts in your name. It might be something you want to do, even if you don’t think identity theft is an immediate threat. Fraud alerts are not a cure-all, however. A fraud alert can be ignored by creditors. If you suspect you’re a victim of identity theft, or have already become a victim, fraud alerts are only a start in trying to protect your credit. You also need to pay close attention to your credit report and consider a credit freeze – an even stronger option than a fraud alert. It tightens access to your credit data even more by allowing you to freeze all access to your credit file. A fraud alert is something that the major credit bureaus attach to your credit report. When you, or someone else, tries to open up a credit account by getting a new credit card, car loan, cell phone, etc., the lender should contact you by phone to verify that you really want to open a new account. If you aren’t reachable by phone, the credit account shouldn’t be opened. A creditor isn’t required by law to contact you, however, even if you have fraud alert in place. It’s pretty easy. Just contact each of the fraud department of the credit bureaus and ask them to flag your credit file for fraud. You’ll probably talk to an automated voice response system and it should only take a few minutes. You should consider using your cell phone as a contact number, so creditors can reach you more easily. TransUnion: TransUnion apparently does not offer an online application. The bureaus claim to share fraud alert data once you contact one of them. However, some studies have shown that this process doesn’t always work so your best option is to contact each bureau individually to place an alert. • Within 24 hours, an alert should be be activated at the credit bureau. You should receive a confirmation in the mail a week or two after your call. If you don’t receive this confirmation, call a place the alert again. • Your name will be removed from all pre-approved credit and insurance offers for two years. The fraud alert will remain in place for only 90 days. When the time runs out, you’ll need to reactivate the alert. You can also apply for a 7-year victim statement that will keep the alert in place for, you guessed it, 7 years. For this, you will have to provide proof that you’ve been a victim of fraud. 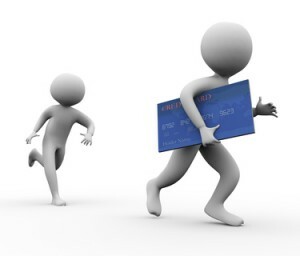 The credit reporting agencies do not knowingly maintain credit files on minor children. If you suspect that your minor child’s information has been used fraudulently, you should contact the credit reporting agencies directly and report the illegal use of your child’s information to law enforcement. • A current utility bill containing your current address so the credit reporting agencies may promptly respond to your request. Send the information (I would suggest using certified mail) to the fraud department of the credit bureaus. Activating a fraud alert will cause you a problem if you’re used to walking into an electronics store, signing up for their amazing “don’t pay anything until 2014″ credit offer, and walking out of the store with a new big-screen TV. With a fraud alert active, you have to be available at either your work phone or home phone to approve opening the credit account. No big deal. It will just require a short delay in your instant gratification and a call-back to the credit company authorizing the new account. NOTE: You want to be cautious if you’re just about to apply for a home loan or refinance. Let your broker know that you have a fraud alert in place because you’re trying to protect yourself against fraud. On the plus side, a fraud alert won’t cause any problems with your current credit card, bank or credit accounts. It’s focused on new credit accounts, not the ones you already have opened. If you decide you want to remove a fraud alert you’ll need to request it in writing. You’ll have to include your name, social security number, current and previous addresses, date of birth, and telephone number and send it to the fraud department of the credit bureaus where the alert has been placed. I’d also suggest using certified mail or overnight shipping. You want to be able to track a letter that has all that critical data. You could also just wait the 90 days for the alert to expire. For more information about credit reports and credit repair InCreditable Advisors offers a free credit report review. We sit with you in a stress-free environment and go over your credit report to. Let us help you protect one asset and gain another. If you find yourself in a predicament like this please give the professionals at InCreditable Advisors a call, to schedule a free credit analysis of your complete credit profile at 317.837.4969. InCreditable Advisors is Indy’s #1 credit consulting company servicing the entire areas of Indianapolis, Avon, Brownsburg, Danville, Plainfield and Greenwood, and all surrounding areas in Indiana.